IMS Global offers a system for testing conformance certification against the specification. End users should consult the IMS Certified Product Directory to view the most up-to-date list of products that have achieved IMS conformance certification. To certify your product, visit the Caliper Certification service. You must be an Affiliate or Contributing Member and logged in to the IMS Global website to access this service. Learn more about the benefits of IMS membership. The certification service provides a playground for testing your Caliper messages. Click the "Start Testing" link under Test Your Product to access the playground. Once you are ready to commence certification testing, click the "Certify Your Product" link under Certify Your Product to commence testing. The following steps will guide you through the process. A screencast of the certification workflow is available for review. Click the green "Start Certification" button. To terminate testing click the white "Cancel" button. An "Instructions" page provides both a test endpoint URL and a bearer token. Configure your software to send Caliper messages to the test endpoint URL. For each request, set the HTTP Authorization header field value to the provided bearer token and the HTTP Host header field value to the provided endpoint URL. Initiate the product test, sending messages to the certification service endpoint. When the first message is received by the Certification service the "Instructions" page will be replaced with a view displaying conformance progress. A list of available Caliper metric profiles is displayed on the left side of the page. A log of submitted messages or "items" is displayed on the right side of the page. As messages are processed metric profile certifications that have been attained will be indicated by check marks. Clicking a profile's plus (+) link will display a list of profile events and actions processed successfully. Clicking the log "items" link provides additional information regarding events processed, errors encountered, and individual message JSON-LD documents received. Once testing is complete click the "Complete Certification" button. Read the confirmation statement and then click the "Submit Certification Results" button. Repeat the test as necessary in order to certify against additional metric profiles or address previously failed tests. After submitting your successful conformance information and receiving confirmation and a registration number from IMS Global you may then apply the appropriate conformance mark. The IMS Global conformance chart will list your conformance details. If you have any questions, please feel free to contact us at any point. Products without an IMS conformance registration number are not considered compliant by IMS Global. Caliper certification covers individual metric profiles only and is scoped to the specific version of the Caliper specification tested. Major or minor releases of the Caliper specification and/or associated metric profiles will require recertification of your upgraded platform, application or service. 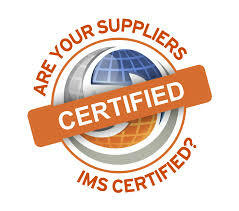 All IMS Certifications require that you renew and retest your certification every year.